❝ On December 14, the Federal Communications Commission voted to repeal net neutrality regulations put in place under the Obama administration. These regulations categorized broadband as a utility and forced internet service providers to treat all data on the internet equally. ❝ Futurism got an exclusive interview with the attorney general in which he details why net neutrality matters, why the FCC’s repeal was illegal, and what he plans to do to stop the repeal from moving forward. 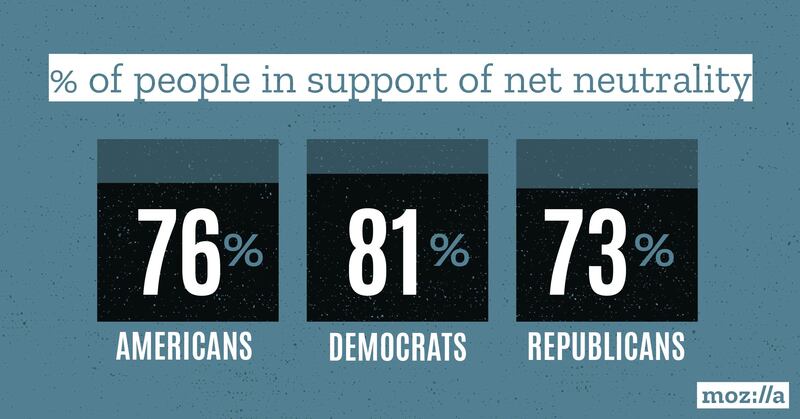 There are many reasons why netizens are confident of defeating the corporate attack on an open democratic internet. They start with users getting off their collective rusty dusties and fighting to defeat the forces who believe they can buy and sell anything and everything. Posted in: Corruption, Culture, Government | Tagged: buy and sell, conservatives, net neutrality, Republicans, rules, what principles? Know any politicians who’ve noticed China becoming a global innovator? “FCC releases final net neutrality repeal order, three weeks after vote : With repeal officially published, FCC will soon face lawsuits.” (1/4/2018) https://arstechnica.com/tech-policy/2018/01/fcc-releases-final-net-neutrality-repeal-order-three-weeks-after-vote/ “In this document, the American public can see for themselves the damage done by this agency to Internet openness,” FCC Commissioner Jessica Rosenworcel, a Democrat who voted against the repeal, said today. “Going forward, our broadband providers will have the power to block websites, throttle services, and censor online content. This is not right.” The decision “deserves to be revisited, reexamined, and ultimately reversed,” she said. Meanwhile, a separate effort to overturn the FCC’s net-neutrality repeal has been gaining momentum and FCC chairman Ajit Pai pulled out of a planned appearance at this week’s CES tech industry convention after reportedly receiving death threats. That raised eyebrows, as the current or incoming FCC chair has spoken every year since 2009, and Pai would have most likely been put on the spot about the net-neutrality repeal. “FCC chairman gets NRA award for repealing net neutrality : The NRA bestows its “Charlton Heston Courage Under Fire Award” on Ajit Pai for withstanding criticism over his push to end net neutrality regulations.” (The award is a handmade Kentucky long rifle that will stay in the NRA’s museum in Fairfax, Virginia) https://www.cnet.com/news/fccs-pai-gets-nra-award-for-courage-repealing-net-neutrality/ On Thursday, the FCC published the final notice of the repeal in the Federal Register, which starts a 60-day clock until the rules are removed. The effective date for the repeal is April 23. The FCC voted to repeal the rules on Dec. 14. That same day, a coalition of 23 state attorneys general refiled a lawsuit challenging the FCC’s rollback of Obama-era net neutrality regulations.